“Today, we are cancelling the apocalypse” barks Idris Elba’s Stacker Pentecost in the trailer for Pacific Rim, but it’s over 90 minutes in when you finally hear him utter that attention grabbing phrase in a movie so big, it will make your head spin. But is it worth the migraine? In short, the answer is yes. Director Guillermo del Toro has created a monster movie that utilises themes from many other ‘classic’ films, giving it an old fashioned feel, whilst still making it incredibly fresh and unique. 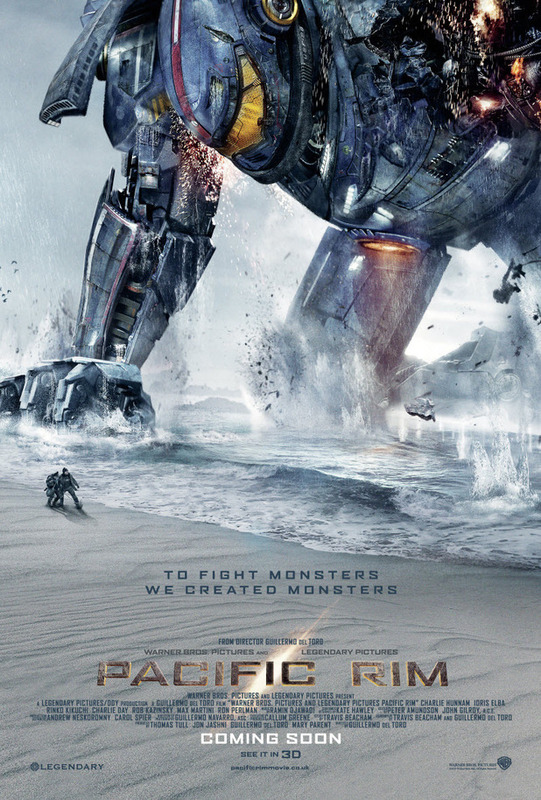 The story is simple, but don’t let it fool you into thinking it’ll be a one dimensional ride from A to B, Pacific Rim is much more than that, it’s a big blockbuster most definitely, but it also gets the subtleties right; it has a heart. We begin with a Shakespearean narration by Raleigh Becket (Charlie Hunnan) who tells us about a war breaking out between humans and the Kaiju, a race of monsters from deep within the Pacific Ocean, and the only way to beat them is to bring in the heavy metal. Enter the Jaeger program, a series of gigantic robots built across the world to defend Earth against the terrifying creatures. Whilst piloting a Jaeger, you are connected with a co-pilot who can see memories in a ‘drift’, a kind of telepathy which can be deadly for those around you if you ‘chase the rabbit’ and trap yourself in a memory which has caused distress. After all, you’re piloting a giant robot with laser beams, swords and over 100 diesel engines in some cases. Hunnan’s character Raleigh is distraught after an incident with a Kaiju, so much so that he leaves the program and thinks he will never have to return. Unfortunately, he is very wrong and after five years he is back and, to cut a long story short, is teamed up with a rookie pilot in the shape of Mako Mori (Rinko Kikuchi) to put an end to the forthcoming invasion. The film borrows heavily from other similar-minded movies like Cloverfield and Transformers and there’s even a subtle nod to Jurassic Park, see if you can spot it, but yet del Toro always manages to make the film feel new, exciting and exceptionally fresh. Never before have we seen all of these regularly used components together, and it adds an interesting new dynamic to a film which could’ve been run of the mill. Acting is a mixed bag; Idris Elba is excellent in his role as Pentecost and shows why he is like catnip to directors at the moment. Rinko Kikuchi is understated in her large role but plays the character well; we feel her innocence before her ‘drift virginity’ is taken. There is also one scene involving a younger version of Mori which is by far the most poignant in the entire film. For comic relief, of which there is a surprising amount in a film about the destruction of the globe, we have a del Toro staple, Ron Perlman, who plays a black market dealer roped in to help the cause and locate a Kaiju brain. Rob Kazinsky (True Blood) and Charlie Day (Horrible Bosses) also star, with the latter providing some of the films best lines. The special effects are truly exceptional, in films this big there can sometimes be a few shoddy scenes to cut costs in the hope that audiences don’t notice but not here; everything is stunning – from the computer generated Jaegers and the computer generated Kaiju, to the CGI recreations of Hong Kong and other destinations across the globe, it truly is beautiful to watch. Couple this with an absolutely mind-blowing soundtrack and each frame has either a tantalising musical score or a piece of eye-popping visual. However, after an initially exciting opening, we are treated to a first-act lull from which the film takes a good 30 minutes to recover from, this being the most disappointing thing in the entire movie. The lull is used to good effect though, as we learn more about the lead characters and the Jaeger program itself, but 30 minutes in a 2 hour film is a little too long to wait for the action to restart. 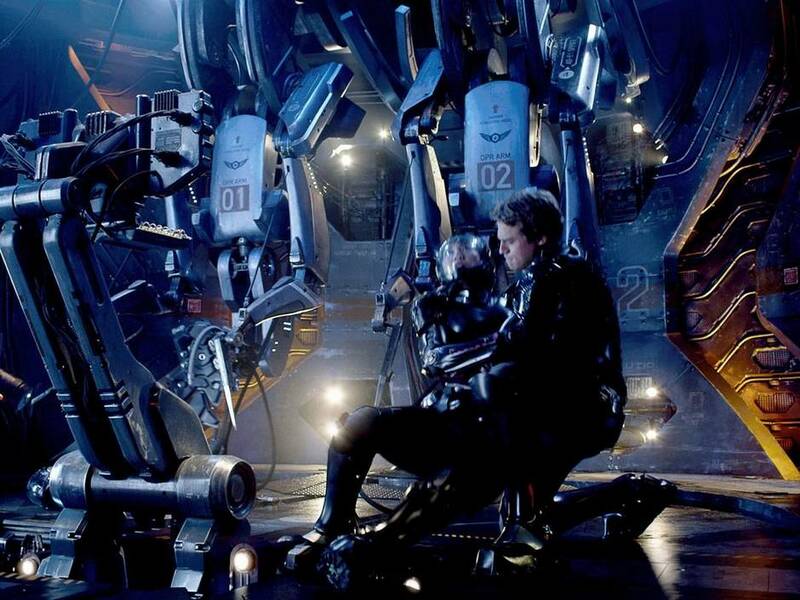 Overall, Pacific Rim is everything a big summer blockbuster should be, it has beautiful special effects, excellent performances and a decent story mixed with a superb soundtrack. We’ve seen it all before, but in separate films, so to put everything together was a brave move on behalf of del Toro and it works brilliantly. It’s a little too long and the first-act lull is disappointing, but in the end it all ties together nicely as pure popcorn entertainment. OVERALL: 49/60 A must see, and one of the finest blockbusters of the last 10 years. Nice review Adam. I was able to believe that monsters and robots could fight all of the time, and I never got bored of it. Thanks so much for your kind comments. It was an outstanding film and just shows how good a director del Toro is.